Show your love for the Cotton state by sporting this comfy cotton tee, part of our Southern Designs series. 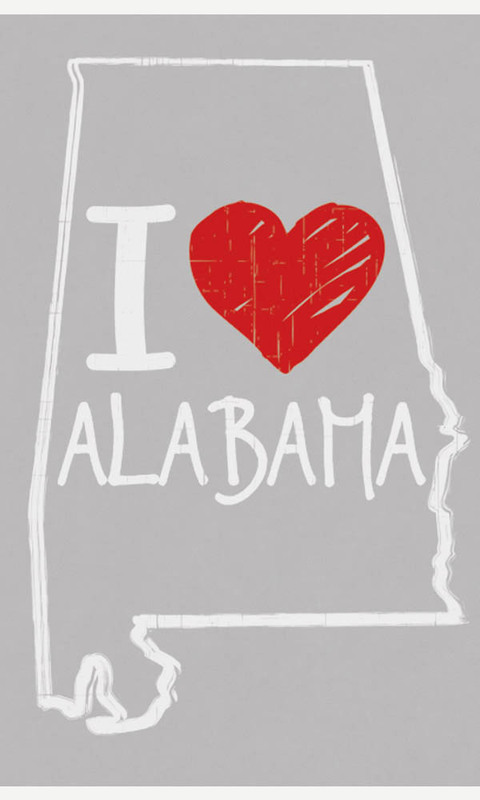 The hand-drawn style of the Alabama state outline and a touch of red glitter shows that your heart is in the Heart of Dixie. Printed using eco-friendly non PVC inks on our Ladies Short Sleeve Tee.